Hurry and take advantage of this deal. 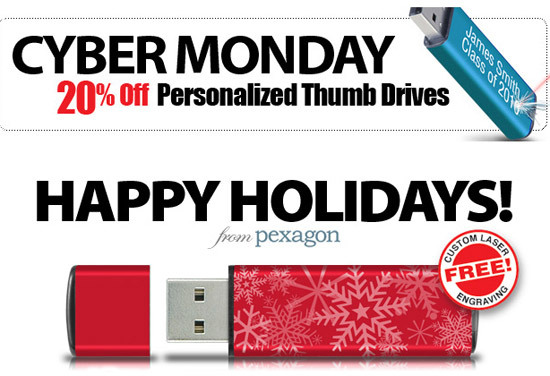 20% off any personalized Thumb Drives at PexagonTech. Unlike other personalization places where they charge you per letter, personalization at PexagonTech is free.